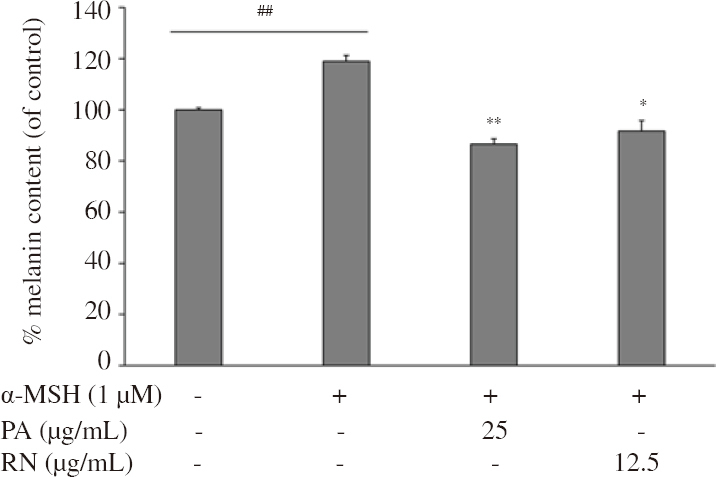 Figure 3: Effects of PA and RN extracts on melanin synthesis in NHEM. Percentage values of treated cells relative to control cells are shown. Data are the mean±SEM from three independent experiments. ##P<0.01 compared with control group; *P<0.05, **P<0.01 compared with α-MSH treated cells.